Today is my Dad's 60th Birthday! Happy Birthday Dad! My Dad is a mechanic and all around handy guy. For his birthday I made him this wrench key chain. This would be the perfect Father's Day gift for any handy dad. Plus it's pretty easy to put together. 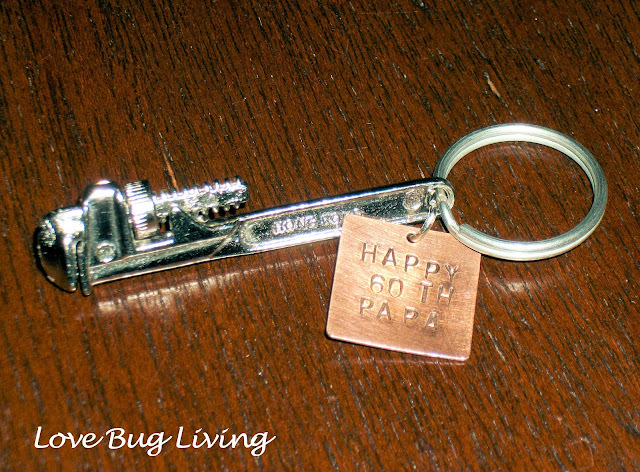 All you need is a little wrench, a key chain ring, and a tag and metal stamps if you wish to add your own tag. I found my wrench at an antique store, but you can find a wrench like the one above at any hardware store. It should be under $5. You can find the key chain rings at the craft store. Simply thread the ring side of the wrench onto your key chain ring. By placing it straight onto the wrench, your key chain will be very sturdy and you won't have to worry about a jump ring breaking or pulling open. I used metal stamps to create my own personalized tag. If you don't have metal stamps, you might just find a Dad key chain and add the wrench to it to make it more personalized. 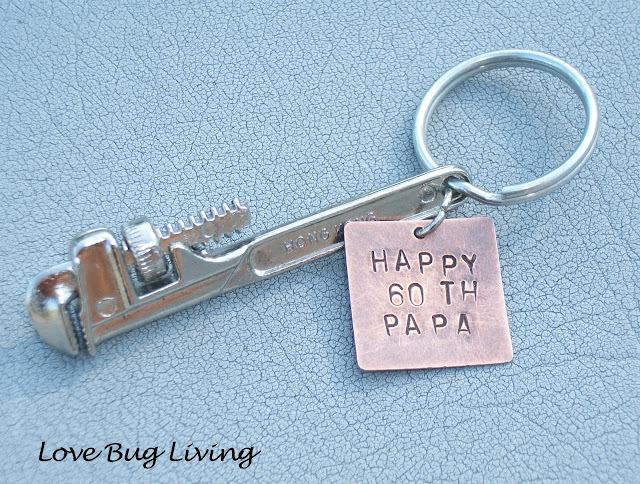 Not only is it a fun gift, it might even be practical if Dad finds himself in need of a tiny wrench! Hope Dad has a great Father's Day! What a great idea. I'm sure he'll love it. Awesome idea indeed. 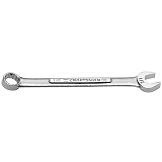 Click here for more details on impact wrenches.